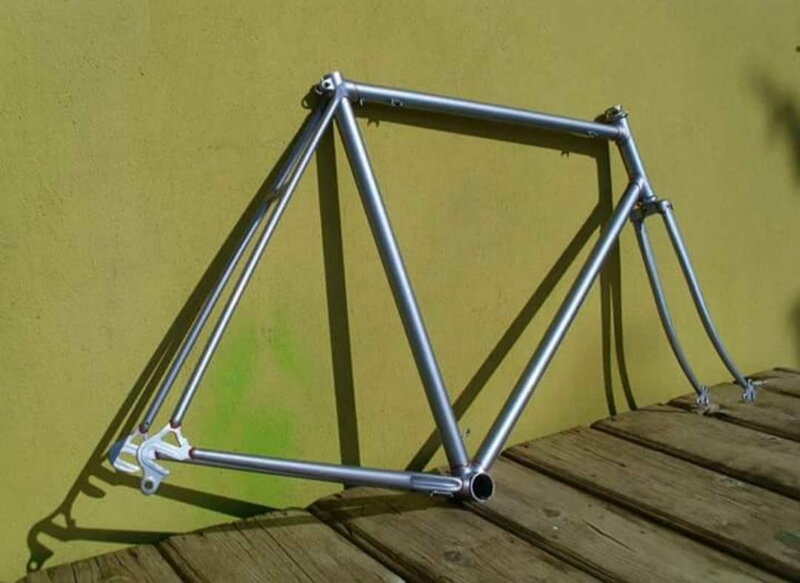 Any thoughts on this Frame will be very very helpful, seller asks 80 euros for it, is it a Real motobecane ? No, it doesn't look like a moto that I know. Check the double eyelets on the fork, but absence of any on the rear. So, I would guess the fork is a replacement. Drive side rear dropout looks botched (widened) and looks like a Simplex type without a campy style stop. Who wants that? In general, looks lower level. MB made plenty of low end stuff, so whether its real or not, not worth 80 euro here. And if you do buy a stripped down frame, you will need a pile of parts. If it is a Motobecane, that could be a NEGATIVE, as MB loved Swiss BB. Those rear drops are very flimsy, in my opinion. The price is way high, for such a frame set, again, my opinion. I would pass. The ESGE chainstay bridge is one of several features which mark it as low end. Looks to hail from late nineteen seventies. Those housing stops appear to be the type which are square and take a black plastic insert. Would expect a CH shell. Without good paint this frame set is just to low end to be worth building up. The fork has fender eyelets and the rear drops don't so there's a good chance the fork isn't original to the frame. I would say pass on this not worth it even if it was free.